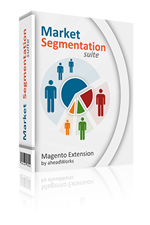 One of the main tasks in developing Magento extensions is to keep them up to date with a wide range of Magento versions. Magento changes its code constantly in order to improve the existing functionality and to add new features. Today we are happy to release a bulk of extensions updates compatible with the latest Magento CE 1.6.0.0 version. Find more on the Who Bought This Also Bought page. With the Image Slider v.1.2 extension for Magento, you don’t need to edit your website template for each new image, banner, or advertisement anymore. You get a highly-professional and easy-customizable image rotator which will improve your banner advertising experience. Since the latest update, the compatibility issues with WAMP platform have been solved and minor bugs have been fixed. Learn more about Image Slider on the product page. Great Blog, exactly what i was looking for. Thanks for providing these updates. Have you updated your blog extension for magento 1.6 ? It doesn't work.